Description:Looking along Lamb Street towards Stafford Street. An entrance to Lewis's Arcade is on the left, at the time of the photograph, closed and being demolished. The Art Deco building was opened in 1934. This entrance took you to the cafeteria and restaurant. 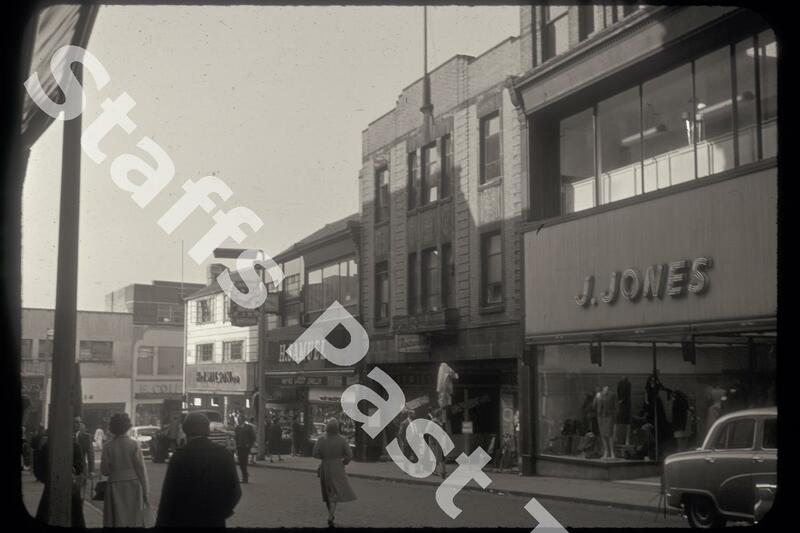 All of the shops on the left would be demolished to make way for Lewis's new (1964) store which later became absorbed into The Potteries Shopping Centre as a Debenhams store. 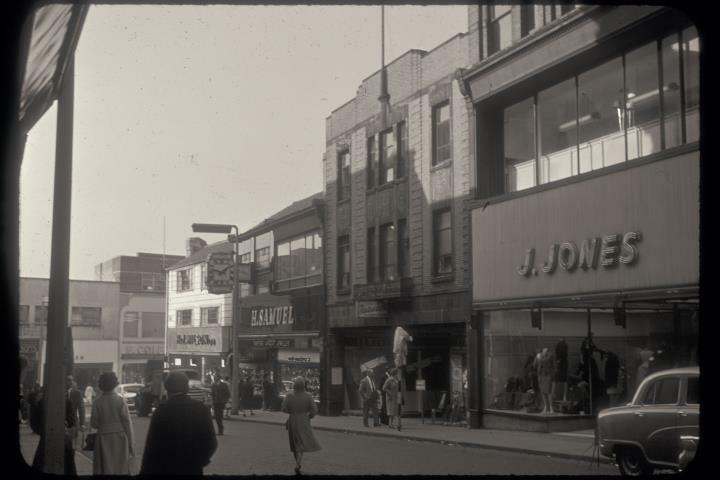 H & J Wilson Ltd (costumiers), H Samuel (Jeweller) and J Jones (ladies fashions) also went. On Stafford Street, the facade of F Coleridge (costumiers) remains today (but different occupier).